Want to try great apps without hurting your wallet? We’ve picked 27 iPhone/iPad apps that are now free. 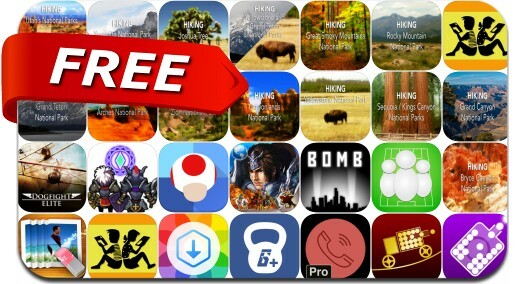 Today’s batch of apps gone free includes Bomb Command, Gymster+, Clash Warlords, Shoot The Balls, ImageGet and many others. Hiking Grand Teton N. P.
Hiking Rocky Mountain N. P.
Hiking Grand Canyon N. P.
Hiking Joshua Tree N. P.
Hiking Bryce Canyon N. P.